You know how some books take over your life, so when you're not reading them you're thinking about them, and looking for spare moments to sneak in a few more sentences, and all kinds of other projects fall by the wayside? The last book that did that to me was Junot Diaz's The Brief Wondrous Life of Oscar Wao, which took over three or four days I had set aside for other work and left me stiff in weird places from being immobilized in my bed reading (or actually, lying on my stomach with the book on the floor and my head hanging over the edge of the bed -- I didn't intend to stay that way, but once I started reading I couldn't stop to change positions). Before that it was Adam Mansbach's The End of the Jews, which didn't make quite the splash in the larger world that Oscar did -- no Pulitzer or anything. 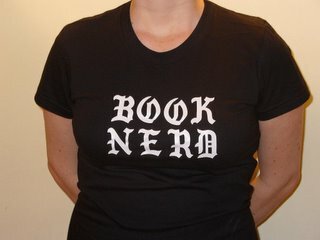 But one's own obsessions are not always everyone's, and I wrote here about the effect that book had on my social life. 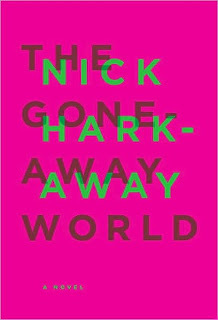 The book currently ruining me for any other pursuit is Nick Harkaway's The Gone-Away World. It's making my face hurt from laughing, and my heart ache from the sense of loss and the promise of happiness. I should have known, as such like-minded readers as Jenn Northington of The King's English and other Emerging Leaders types talked about it in somewhat fanatical terms. But it has literally been haunting my dreams, coloring my waking perceptions, and making me long for lengthy subway rides so I can immerse myself guilt-free. You may know the pitch: super weapon eliminates large parts of the world, leaving big blanks and weird fallout in its wake. Book's attractions include gong fu, British humor a la Wodehouse, post-apocalyptic adventures, pirates, ninjas, mimes, love, friendship, identity. It's also got this brilliant motif of how people choose to set aside their humanity so they won't feel guilty as they become cogs in a machine (company, government) which, while not necessarily evil, pursues its prime directive without regard to cost or consequences. Lots of heroism, lots of surreal creepy dreamstuff, lots of scenes where I'm in agony when I get to my subway stop because what is going to happen next?? It's looking like entering my pantheon of "utterly entertaining books which also make you think and feel compassionately" -- Cloud Atlas being the prime example. Maybe British authors are just good at this sort of thing. Anyway, no more chat. Must get in five more minutes of reading before leaving for work. What are your book obsessions, the ones that incapacitate you for the rest of life and leave you changed afterward?